From next Monday 30 January at 12.00pm CET to Tuesday 31 at 12.00pm CET or when the 200 available tickets have been sold, members will be able to buy their tickets for the first leg of the Copa del Rey semi-finals against Atlético Madrid. 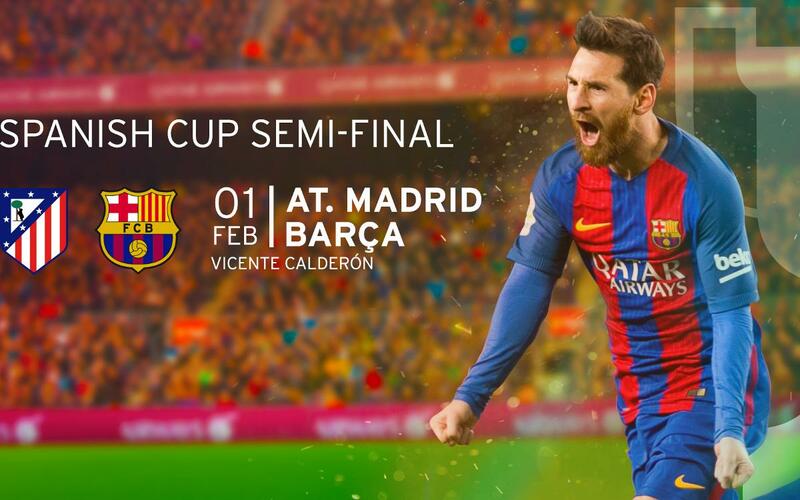 The match will be played on Wednesday 1 February at Vicente Calderón. The tickets can be purchased via the online form accessible through the link below. Once you have filled in the form you will be charged directly for the full price of €70 per ticket. The form only allows members to order one ticket per person and joint requests are not available. On this occasion, tickets will be collected exclusively in Madrid and no tickets will be sent by post. For more information about travelling with Barça, consult the different options offered by FCBDesplaçaments or send an email to fcbdesplacaments@fcbarcelona.cat.